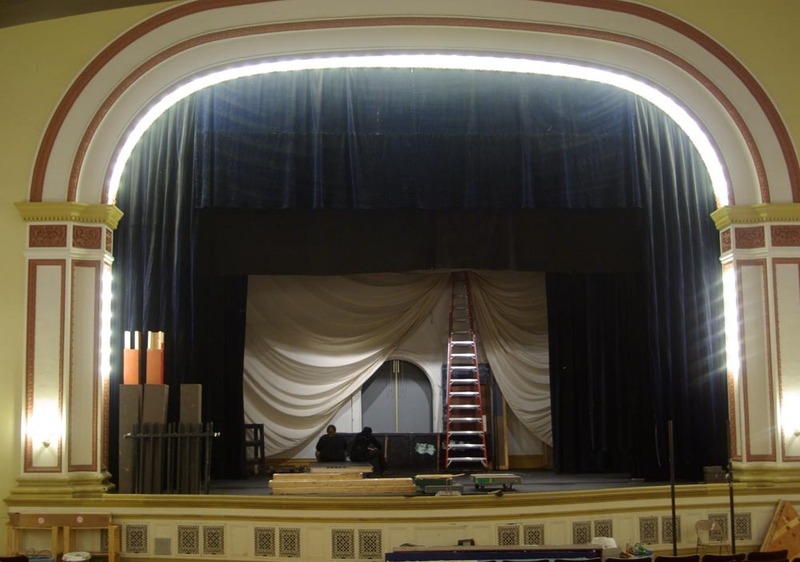 Members of The Pittsburgh Savoyards begin building their set for “Ruddigore” on stage in the Andrew Carnegie Free Library & Music Hall. I love to think of a stage as a blank canvas of sorts, where the set is laid down as an underpainting or basic sketch, then the work is performed on that base. Nice image – I also love an empty stage…to imagine all that has been and could be created there. Everything from the potential that’s there to the lighting, it’s all to facilitate an imaginary world, and it starts even before the performance.